Strong and beautiful. 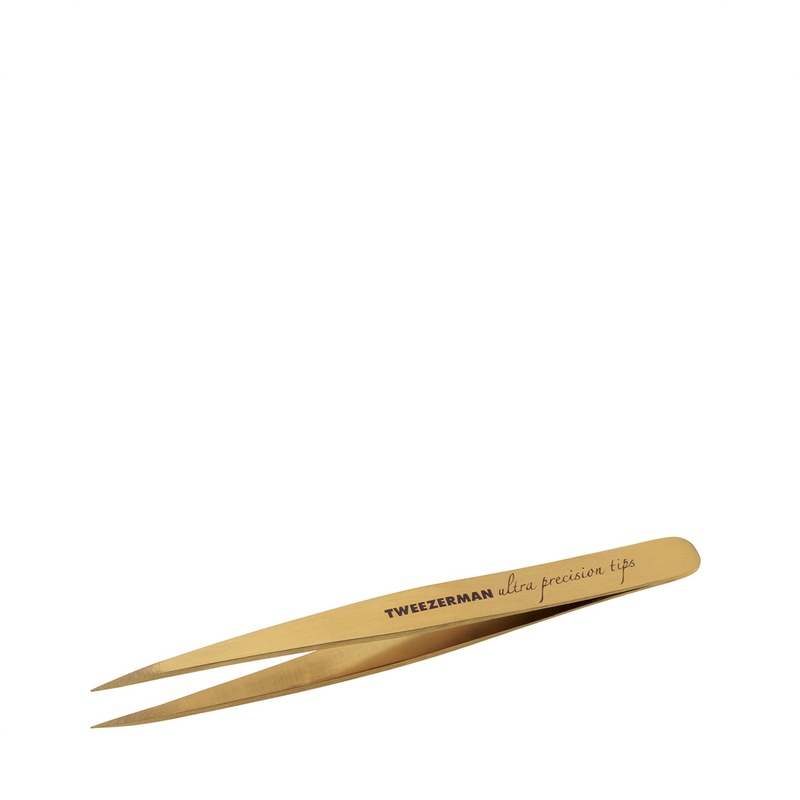 Titanium gold coated Point Tweezer is ultra-precise and durable for removing the finest hair. Ideal for short tricky stubble, ingrown hairs and baby-fine strays. An essential tool towards brow perfection. The tapered tips are finely hand-filed and ultra-thin to perform with advanced accuracy. Part of the Ultra Precision Series, this stainless steel tool is coated in a Titanium finish - an incredible breakthrough technology for hard coating materials to improve their performance and rust resistance.